The Walking Dead could’ve ended awhile ago. Recently, creator Robert Kirkman discussed his original ending for the series at Comic-Con, Digital Spy reports. Kirkman created the original comic book series and serves as an executive producer for the AMC TV show. Season seven of The Walking Dead premieres on October 23rd. What do you think? 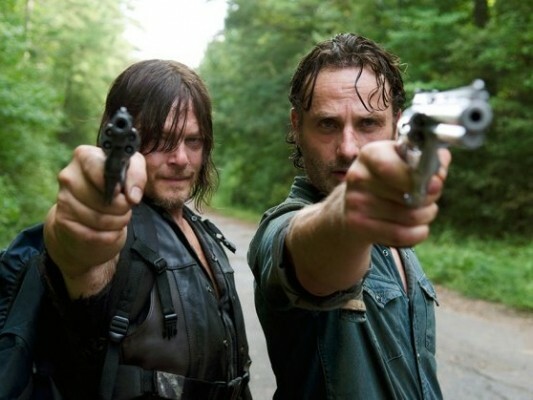 Are you a fan of The Walking Dead? How long you would like to see the series continue for? I really don’t know how it should end. Without Heavenly intervention, the amount of Walking Dead in the world will never truly decrease enough so that you can walk around the outside world without fear of running into one.